From an external observer’s perspective components of distributed systems are starting and terminating in an unpredictable manner, which makes the monitoring challenging. Components can also start multiple times on a single server as well as on multiple machines. The Hadoop ecosystem is one example for such a distributed application and the primary example of this talk. The fundamental question to be addressed is: How can such unpredictable distributed systems be monitored? This talk presents a general analysis of the problem and its existing solutions. Based on this analysis, a new theoretical concept is developed and realized in a practical solution. A fully automated monitoring solution for distributed systems will be demonstrated. The solution is flexible and portable and can therefore be applied also outside the Hadoop environment. This new solution is an efficient and promising contribution to the monitoring community. Philip Griesbacher, a specialist in computer science is working in monitoring for several years. 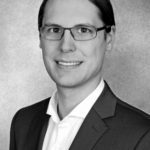 Alongside his computer science studies at FH Munich (BA) and FH RheinMain (MA) he was part of the monitoring team at ConSol Consulting & Solution Software GmbH. There he focused on the evaluation of new technologies and their integration into the Monitoring domain. This includes the integration of InfluxDB and Grafana in Nagios as part of OMD, with Nagflux and Histou, the connection of Nagios to Prometheus via Iapetos and other Open Source projects. During this time, he held talks on current developments at various monitoring conferences. He is currently responsible for Cloud Native Topics in the Big Data, Machine Learning and Artificial Intelligence Department of the BMW Group.